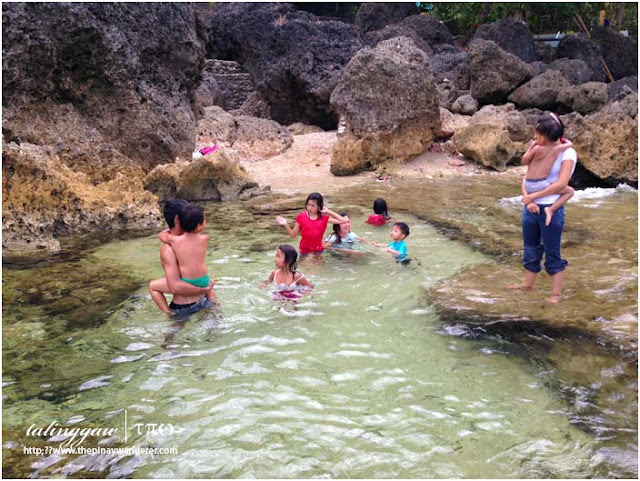 Home » beach resorts , Pangasinan , travels » Pangasinan | Bani: Surip Coral Beach and its "Baby Pools"
My mom is a Pangasinense and I was born in Bani but except for a few visits to my relatives, I've never explored this town until May last year. 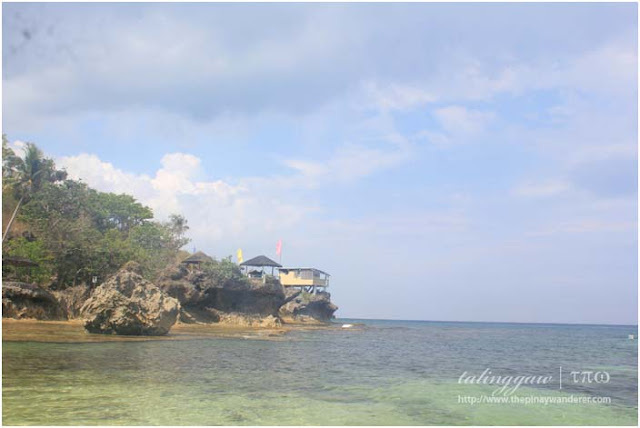 Bani, a coastal town in the province of Pangasinan, is usually overshadowed by its famous neighboring towns, Alaminos and Bolinao. It is a second class municipality known for its sweet watermelon produce and as such, is called “Pakwan (Watermelon) Capital of the Philippines”. Last summer, I got the chance to visit some of Bani's tourist spots – Surip coral beach and Surip pilgrimage site. 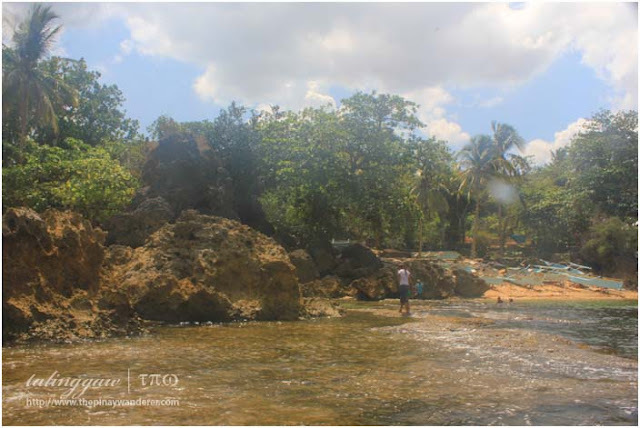 Located in Sitio Olanen in Barangay Dacap Sur, Surip beach is around 30-45 minutes travel by tricycle from Bani's town proper. 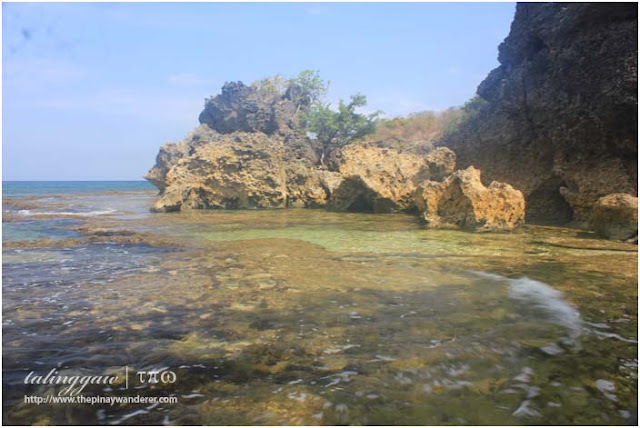 A rocky coastline on the western side of town facing the South China Sea, Surip beach is covered with coral beds, some of which have shallow openings they call "baby pools". 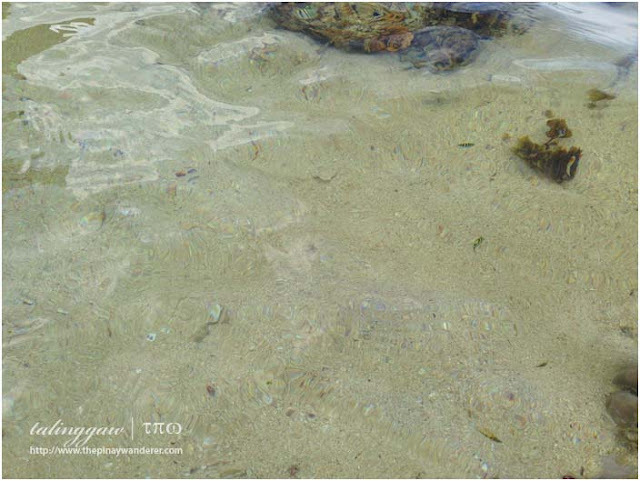 During low tides, these baby pools trap teeny weeny colorful fishes and other marine life. It also serves as the swimming pool of the kids and kids-at-heart who visit this shoreline. 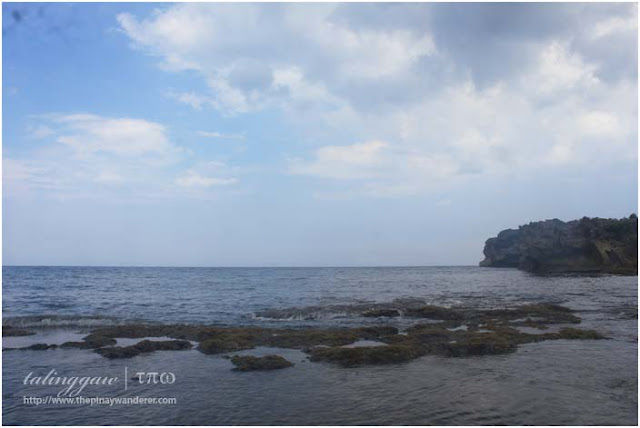 Surip, being a rocky coastline, is ideal for snorkeling and diving. It sure is a good site for recreational fishing, too, given the many fingerlings and marine species I saw in some of the shallow pools. I actually saw some fisherman throwing their lines not too far from the shore which proves that this area abounds with marine life. How to get to Surip? From EDSA-Pasay or EDSA-Cubao, take Bolinao-bound buses (Five-Star - Pasay, Victory Liner, Dagupan Bus - Cubao) and tell the driver to drop you off in Bani. From Bani town proper, take a tricycle going to Surip, (tricycles are parked near the town's plaza). Bus fare is around 400 Php (for aircon buses), tricycle fare is 250 Php, one way for 4-5 persons. Travel time is around 7-8 hours (Manila-Bani), around 30-45 minutes from town proper to Surip. We never stayed overnight nor avail a cottage in Surip but I saw at least two resorts very near the beach where we went – Surip Mountain Beach Resort (recommended by my uncle probably because the owner, then Mayor of Bani, Mayor Gabriel Navarro is his former boss) and Hide A-way Sea and Beach Resort. Take note that I never stayed in any of these two resorts so I've no idea of their services and/or the facilities they offer. It's best that you contact Bani's Tourism Office at (075) 5532010 to get correct and updated information. We had fun in the few hours of our stay in Surip. My nephews enjoyed the beach. They get the chance to ride a pump boat, too. Although now that it's past, I realized I was a bit reckless back then. I have with me two kiddos (a 6-y/o and a 4-y/o) and we rode the pump boat with no life vest. I'm just thankful that nothing happened to us considering the sea was a bit rough. Tsk! I'll never do that again. Anyway, Surip is a recommended destination for those who are into quiet and secluded beaches, for those who just want to escape for a while their busy life. If you are the type, go check out Surip. You'll enjoy it. Blessed Sunday everyone. Kung Hei Fat Choi! Beautiful photos! The closest I've come to Pangasinan is when my bus passes through it. How I wish I've explored it more before. Wow nice, me and my friends are looking for the non soo mainstream place to visit next trip, and here! this is something good to be researched and visited! :) Thanks for this wonderful one Tal!